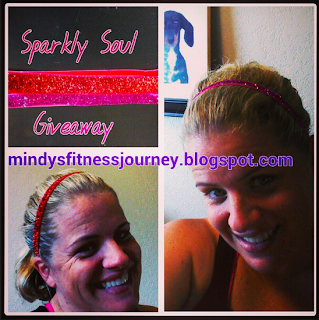 Mindy's fitness Journey: Getting better with health and fitness every day! I watched my New Years Video: http://www.youtube.com/watch?v=rhybU6AEc-Y again this morning. It really got me thinking about the changes that I promised myself I would make. Yes, I changed some, but I still need to get tighter with my nutrition. So I will.... here is my latest vlog! Congrats to Erin Jimenez and Stacey Long. Erin won the narrow one and Stacey got the wide one. Please email me @mindyartze@aol.com within 48 hours!! Congrats! And don't forget about the #MomPowerTeam giving away a registration to F.E.M. Camp! You rock Mindy! Keep it up girl! You are an inspiration to so many. Cooking will come, so will the pounds with your hard work! Thank you for everything you do! Wow. You are doing amazing with the Diet Bet! I cannot believe you lost that much already. I did so fabulous M-W, then sucked T-S. I have got to get back on track, I'm really disappointed in myself. Like you my main focus right now needs to be on the food. I do cook a lot, but it is the snacking/binges that is derailing me. You are a rockstar, keep up the good work!! you are SUCH SUCH an inspiration. Weight does fluctuate a lot, depending on salt intake, water intake, exercise, fluid retention, etc! Try not to weigh in too much in a day - or even a week, just keep eating right and exercising and you can do it! you are addicted to duck dynasty, but I don't know what that is. You're so sweet. You have such a happy personality. I've only recently began to watch Duck Dynasty. I admit when I first saw clips I was turned off as they appeared to act unintelligent on purpose. I see now they are very intelligent but just have their own slang language. I am DVR'ing them to try to catch more episodes. I need to work on my nutrition too! My diet does me in. Just started following you. You're awesome! My kids love Duck Dynasty!! LOL. And Ella loves to jump rope! I would love to start JUMPING ROPE again. I need more plyo! Favorite fitness activity is HIIT...love the high-low intervals. Thanks for your honesty and candor! Awesome!! did you get my email?! :) So excited!! I love to kickbox! i think it's so much fun! Favorite fitness activity is running! Whether it's just a mile or training for a half-I love it! Fantastic giveaway!! I really enjoy running! I picked it up a few years ago and am now training for my first half marathon. Long run Saturday is coming up - 6 miles in on the schedule. Way to go on your success so far! Keep it up! Didn't answer the question...my fav fitness activity is spinning and boxing.